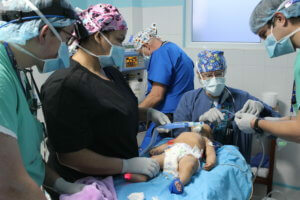 Iowa MOST 2018 was a successful trip in many different ways: maintaining the perfect record of the mission in terms of zero fatalities, which Medical Director John Canady always emphasizes as the most important statistic of the mission; 57 medical procedures at Salus 1 including cleft lip and palate surgeries, tonsilletomies, tubes, obturators, dental extractions, etc. and 57 cataract and other eye surguries at Salus 2; successful outreach trips built upon long-term relationships; strengthening partnerships with the Rotarians and medical providers in Huehuetenango; connecting with kids and families and creating strong ties with people from all over the region; and forging bonds within the Iowa MOST team and planning improvements for future years. However, there was something truly special and unique to this team: 4th year Univerity of Iowa medical student Ethan Craig. 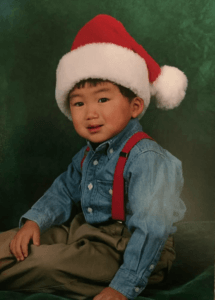 When Ethan was an infant, he was adopted from Korea by a family in Cedar Rapid. 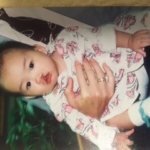 It is very likely that the reason his birth family put him up for adoption was due to Ethan’s medical needs: Ethan had a cleft lip and palate and would go on to require 7 surgeries throughout his childhood. 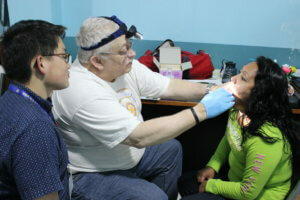 Many of the families helped by Iowa MOST are under the mistaken assumption that cleft lip and cleft palate are much more frequent in Guatmala, or occur because of pesticides or other pollutants, or are caused by poor nutrition or even by superstitious causes. In fact, while the incidence of cleft lip and palate is slightly higher (1 in 600) than in the U.S. (1 in 700), the key difference anywhere in the world is whether families have access t0 the medical care the child needs. Luckily for Ethan, his new home was close to Dr. John Canady at the University of Iowa and an incredible team there to help him navigate the next 8 years of reconstructive surgery. While his initial infant surgeries aren’t something Ethan remembers, he does vividly recall the way the whole medical team interacted with him and how much they clearly cared about him. He recollects that he felt that Dr. Canady always spoke directly to him as a patient, even though he was ‘just’ a kid. His positive interactions with the whole team and the way they focused on him as an individual led him to want to become a doctor. Ethan went to Georgia Tech knowing he would apply to medical school at the University of Iowa. 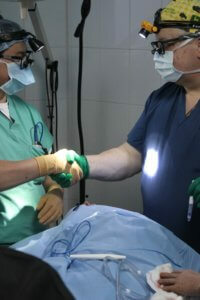 Ultimately, it turned out that Ethan’s interests and skills led him to Otolaryngology. So Ethan’s medical school and training led him full circle to Ear, Nose and Throat. 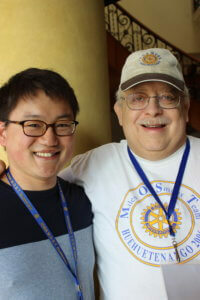 Additionally, Ethan had a strong interest in giving back through some sort of international work, and when he discovered that the Iowa MOST mission existed, and that 4th year medical residents are accepted onto the team every year, the puzzle pieces just fell into place. Who could have guessed that Ethan’s journey would have led him to learn and work at the side of the very man who coordinated his own medical care more than 20 years earlier! Neither Ethan nor the Iowa MOST team realized the serendipity of this connection until he was already accepted onto the team. 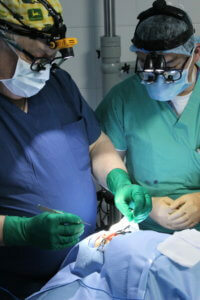 Dr. John Canady certainly never expected to have this remarkable opportunity. He commented that Ethan’s parents are amazing people who supported Ethan every step of the way, and that he could see 20 years ago that Ethan was an incredibly bright child but that Ethan has clearly worked very hard and applied himself to be where he is today. He expressed enormous pride in Ehan’s accomplishments but also in the way that Ethan so clearly cares about people. The gift of seeing Ethan participate in this year’s Iowa MOST mission was more meaningful than can be expressed in words, but was obvious by the looks on both his and Ethan’s faces throughout the trip. 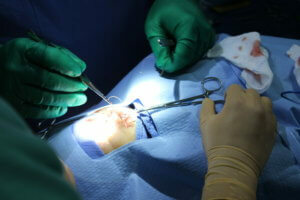 It was with great joy and excitement that Ethan joined Dr. John Canady in surgery for a cleft lip surgery on a tw0-month old baby named Kelvin. The surgery went beautifully and Kelvin is lucky because he will only need this single 1 hour surgery to go on to be a healthy and happy kid. All Ethan really knows is that with thanks to Dr. John Canady and to Iowa MOST, he was able to ”pay it forward” by helping give another child the hope of becoming whatever he wants to be without the restrictions of an operable facial defect inhibiting his future. A warm thank you to Ethan for sharing his story and we look forward to following his education, training and career, and the many ways he continues to make a difference in the years to come!